The first time we looked at a Ferrari vehicle, it was an absolutely incredible 2014 Ferrari LaFerrari Coupe. 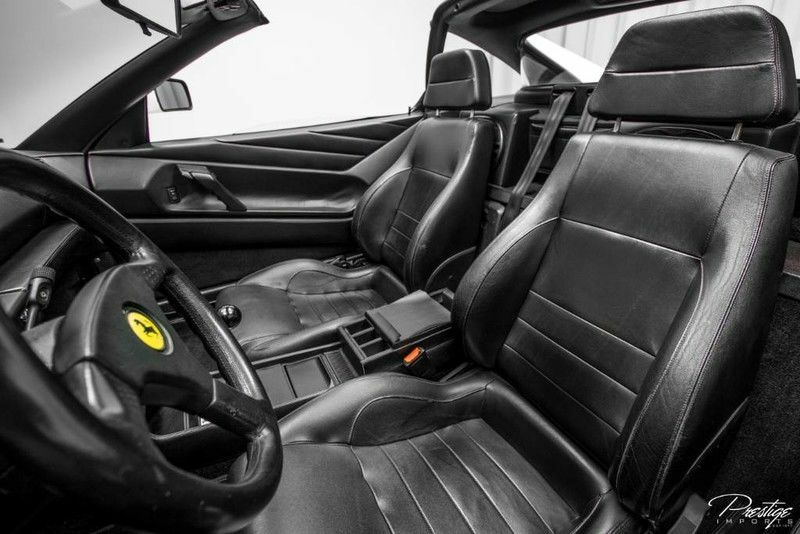 While the LaFerrari is an exotic icon, today we wanted to look a little further back in the iconic lineage of the Ferrari brand by looking at one of the oldest vehicles currently for sale here in North Miami Beach FL, a 1991 Ferrari 348 TS. 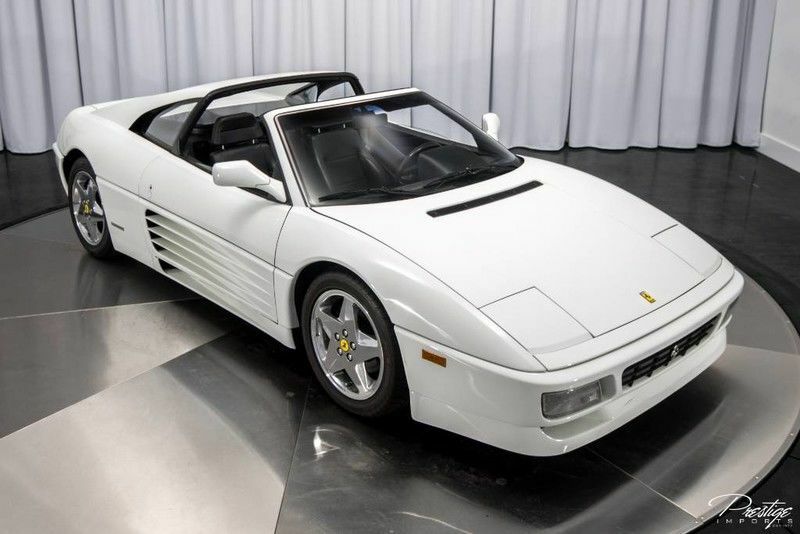 While you can certainly see the ‘80s and ‘90s in this exotic coupe, it still holds up today as an instant classic and will deliver a wave of nostalgia each time you take it on the road. Although this vehicle is 27 years old, it has just under 55,000 miles on it, which means it still has plenty of life left on the road. Powered by a 3.4L V8 engine, it’s capable of generating 291 horsepower and hitting 60 miles per hour in just 5.4 seconds. If you’ve been mostly shopping for sports cars made today, then these numbers probably seem laughable – but back in this car’s heyday, those were pretty impressive numbers. Besides, you’re likely not getting this vehicle as a true track car. This is a collector’s item, a true showpiece, and it makes a great one, to be sure. It won’t have many of the fancy technologies or features of today – like a backup camera, lane departure warning, or place to plug in your smartphone – but it has plenty of nostalgic charm and will look great in your garage. 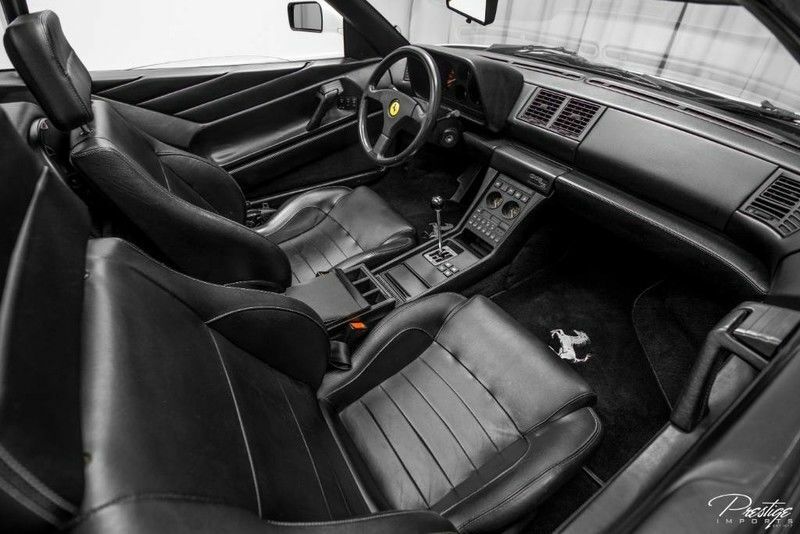 If you’re interested in making this stylish classic the newest member of your Ferrari collection, or any collection, for that matter, then be sure to get in touch with us right here at Prestige Imports at your earliest convenience! This entry was posted on Wednesday, April 18th, 2018 at 5:08 pm	and is filed under Ferrari. You can follow any responses to this entry through the RSS 2.0 feed. You can skip to the end and leave a response. Pinging is currently not allowed.